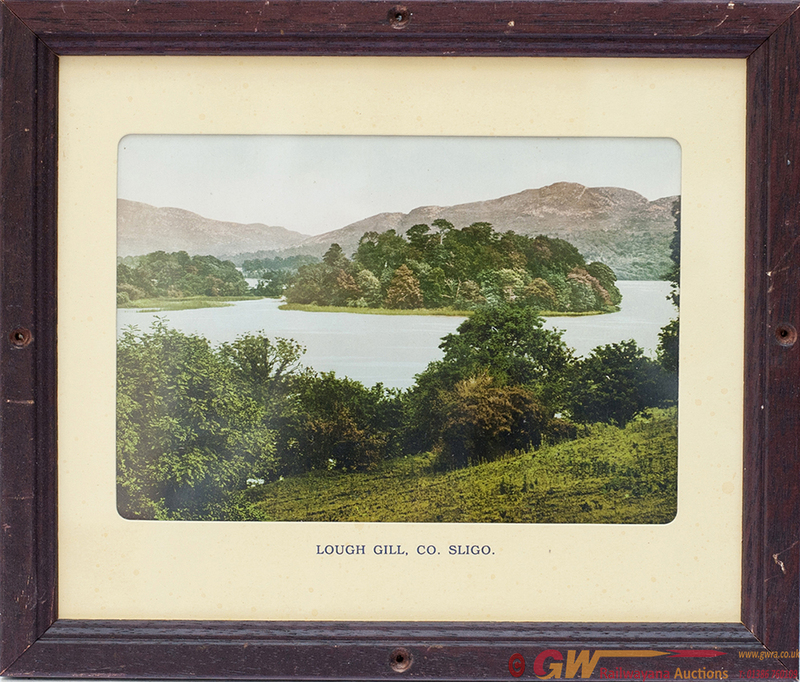 GWR Carriage Panel LOUGH GILL, Co. SLIGO, IRELAND. GWR Carriage Panel LOUGH GILL, Co. SLIGO, IRELAND. Dating around 1895, A pre-war Photochrom colour-tinted panel. In original type glazed frame with titled mount which measures 10in x 8in.